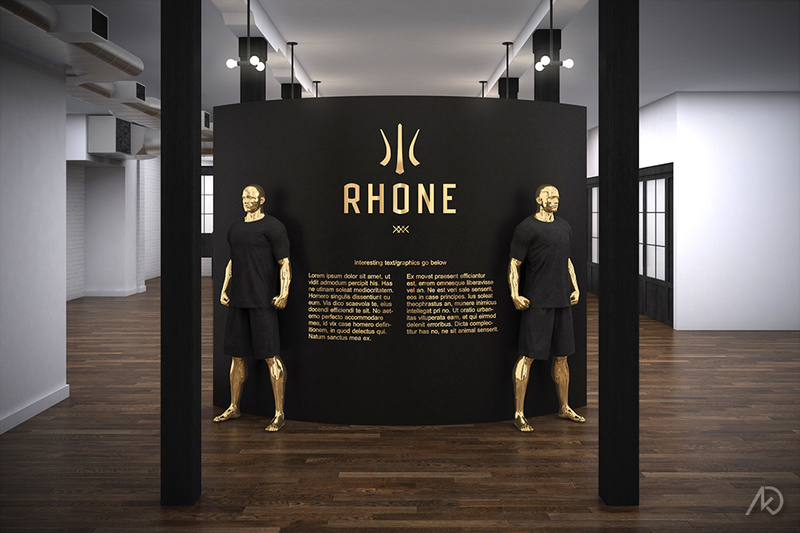 The following 3d illustrations showcase a new design for Rhone’s new athletic apparel launch party. The overall design concept was “Man in Motion,” in order to showcase the apparel as performance pieces. The main showcase element was a glass vitrine that both rained-on and dried the t-shirt inside. This was to show how quick the shirt dries and wicks moisture. track leading-up to the vitrine. 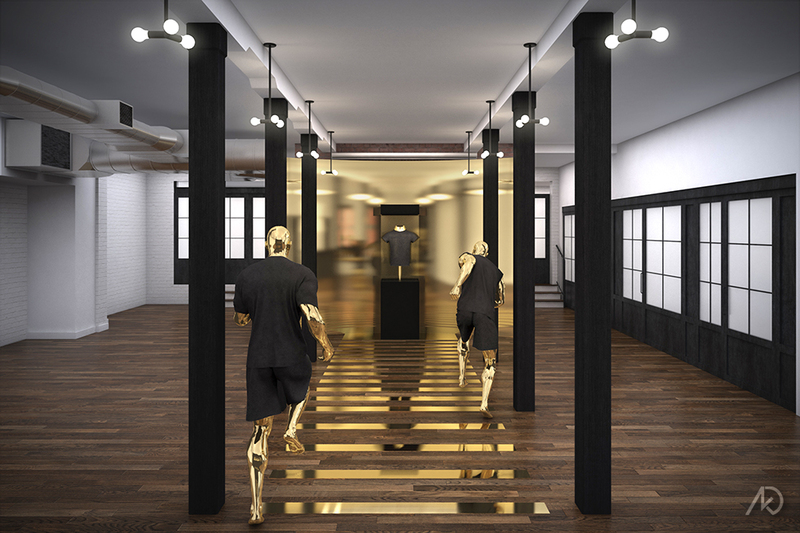 The isle is flanked by running mannequins and ends in a curved gold wall. The gold is used as their apparel using gold-flak technology as opposed to the competitions sliver technology. There is also an entry wall with info-graphics on both front and back. 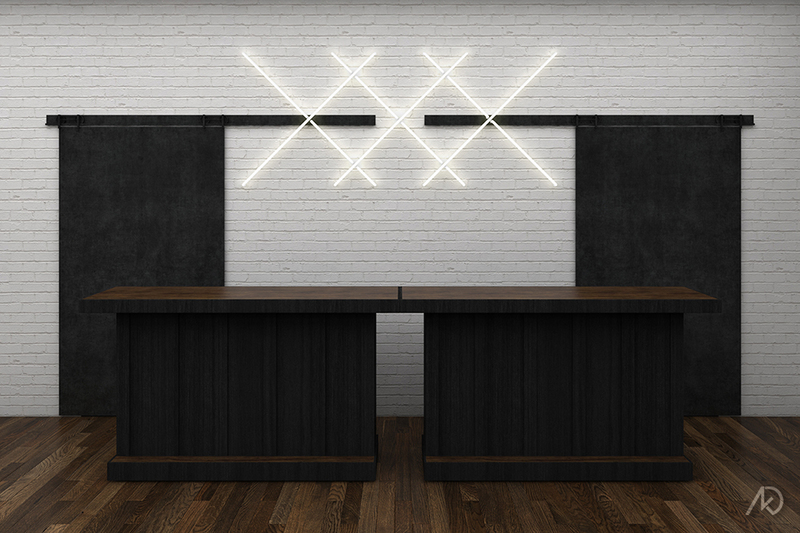 As well as a custom neon sign hanging behind the bar area. Once inside, behind the entry wall is the main exhibit. A gold-band floor vinyl leads up to the vitrine and rear wall. The wall itself is clad in a metallic vinyl. A similar metallic vinyl is used for the floor pattern. 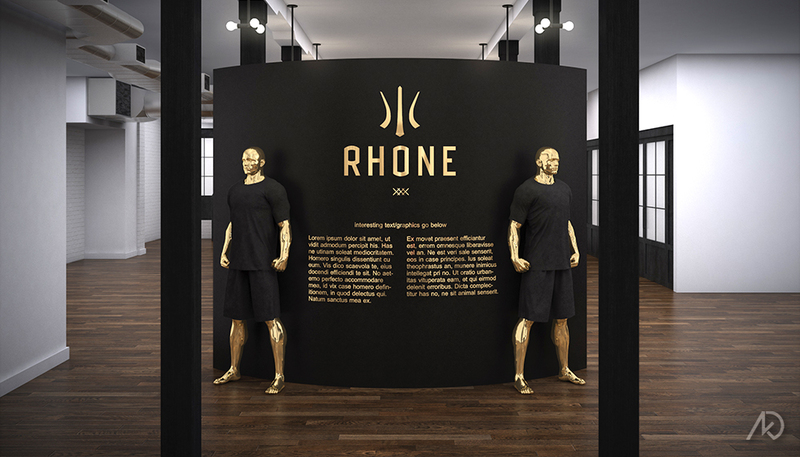 The metallic gold running mannequins are clothed in the new apparel and directly behind the aisle view camera is the rear of the entry wall. On the images below, you can see the front and back of the entry wall. The front of the wall will have general information, while the back of the wall will have some fancy info-graphics – all in metallic gold vinyl of course. 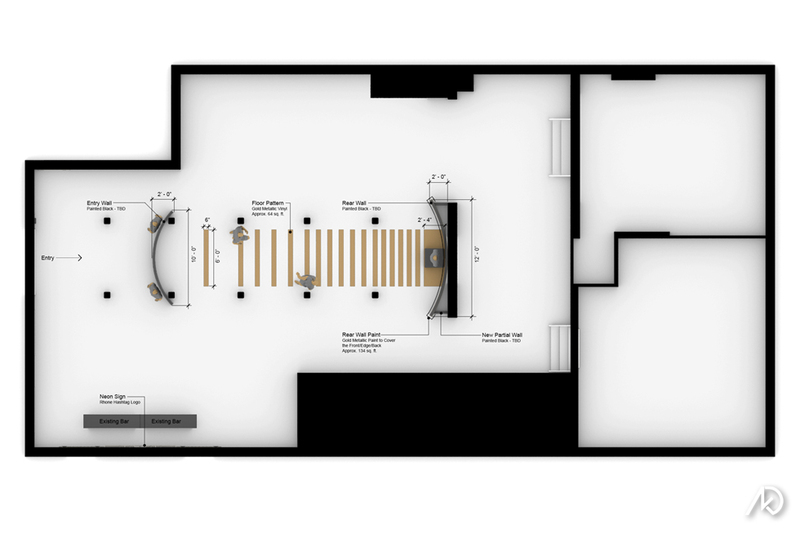 The last two images show a plan diagram and the custom-made Rhone neon sign behind the bar.